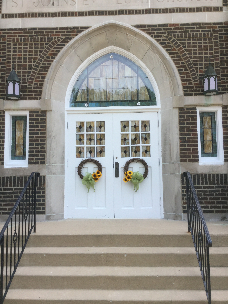 The people of St. John's Evangelical Lutheran Church believe that Christ calls us to be a church that reaches out into the community – the local community and the world as a whole – to do God’s Work with Our Hands. Our mission statement, “Living in Christ – Sharing God’s Love” defines who we are as a community of Christ’s church and enables us to support more than 30 mission efforts with our time and talents. New!! Click on the "This Week" tab under the Sermons tab to see the latest sermon. For urgent news (such as news about funerals or members needing special prayers or help), click here.